Gross Weight (GVWR) 16995 lbs. 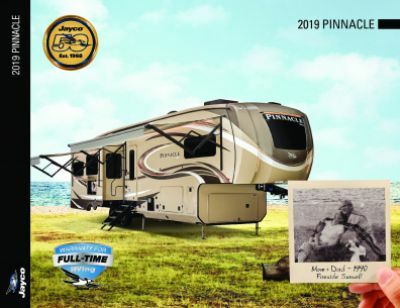 Check off every spot on your list of places to visit with this New 2020 Jayco Pinnacle 37MDQS! This 5th Wheel is ready for the road! All Seasons RV is one of the top RV dealerships in Michigan, thanks to our fast and easy financing! Browse through our wide array of top brand models at 4701 Airline Rd Muskegon Michigan 49444, or call us at 231-739-5269 to talk to one of our RV dealers today! Worried that you won't be able to make the trip without any towing issues? Don't worry, this RV has a manageable hitch weight of 3290 lbs. and GVWR of 16995 lbs. When you do reach your destination, you can place your camping chairs and picnic table under the ample shade of the 19' 0" awning! 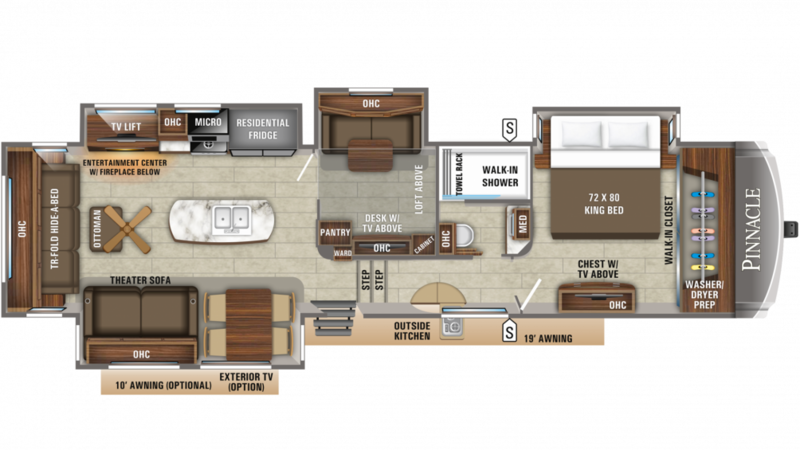 The smartly designed 2020 Jayco Pinnacle 37MDQS can sleep up to 7 people in real comfort. You'll really appreciate the big King bed in the master bedroom. So whether you want a quiet respite from the day's activities, or you're settling in for a good night's rest, you've got it anytime! Meals on vacation just taste better, especially when they're cooked up in the kitchen. The convenient 3 burner range cooktop lets you whip up steaks, fish, chicken, or bacon and eggs - all your favorites! And the 21.00 cu. ft. refrigerator will hold all your favorite meats, veggies, and cold drinks! Cleaning dishes is easy thanks to the 75 gallon freshwater tank. Like to start your day with a hot shower, a shave, or a wash-up? Then you'll love the great master bathroom with its roomy shower and convenient Porcelain Foot Flush toilet! And with the hefty 75 gallon freshwater tank and an LP tank capacity of 60 lbs, there'll be plenty of hot water for everyone! Waste and used water are stored in the 50 gallon black water tank and the 87 gallon gray water tank, respectively. The outdoor kitchen allows you to grab cold drinks and tasty treats and enjoy them around the campfire without even having to leave the campsite! There is a loft bed inside this RV, so your guests can climb up and drift off to sleep in comfort and privacy!